Discover the building blocks to boost lead generation & increase sales! Join industry leading experts for a lead generation and CRM focused half day seminar as they share with you the key building blocks to grow your business! You’ll discover the secrets to building customer engagement from a Master of the ISM (Institute of Sales Management) to drive sales and understand the power of a dynamic follow-up strategy to entice both new and existing customers to ultimately grow client loyalty. We’ll reveal how an integrated CRM and marketing system can help you develop a 360-degree view of your customer base to achieve your desired sales and grow your profits, making your sales and marketing work smarter. You'll discover how you can implement your own customer profiling and see first-hand how automation can make you more efficient. Plus find out how using a CRM system can help with GDPR compliance. 10.30am Why implementing an effective CRM system can grow your sales, make you more efficient and become GDPR compliant. Kristy specialises in offering sales solutions to drive business growth and customer loyalty. 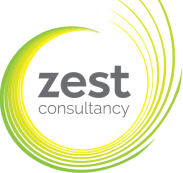 With a wealth of knowledge in sales and customer experience, Kristy launched Zest Consultancy to help companies successfully win new business and retain loyal customers to drive profits. With over 20 years of sales experience, Kristy has an enviable track record for delivering award winning sales success in a variety of Sales Director roles, as well as being a Head Judge at the UK Customer Experience Awards, UK Employee Experience Awards and the UK Business Awards for the last three years. Lucy is an experienced Sales and Marketing Director with more than 30 years of experience in corporate IT, running sales teams with a global reach. Lucy founded A2Z Cloud, focusing on cloud-based technologies and CRM solutions using the Zoho platform. Spaces for this FREE seminar are limited so secure your place today!